For feeding in a right position no Deviation. Prevent the profile being unbeautiful because of the rough material. Two sets of punching pin: single and double hole. Controls by PLC. About 19steps, motor driving and chain transmission. Wall plate structure. Precutting and postcutting for option. Providing the power of cutting and punching. Length 3 meters, no power. 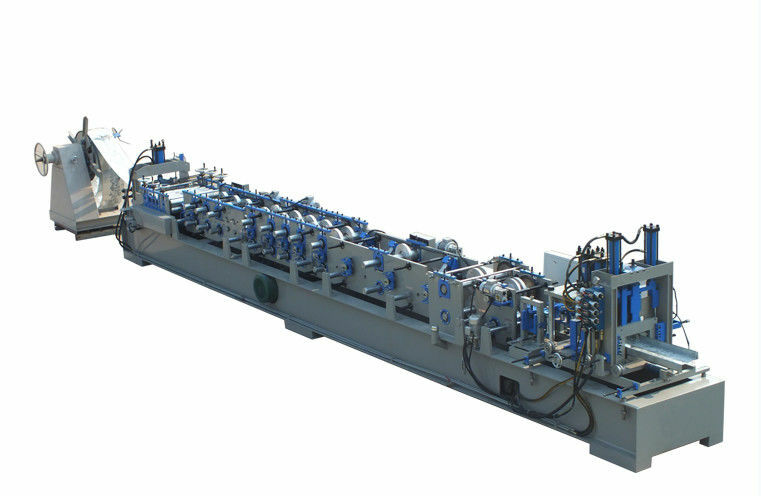 1) One machine for C purlin and Z purlin. 3) Auto change the profile between C100-300 AND Z140-300 in one mimute. 5) Punching and cutting automatic control by the PLC computer.